In the vicinity are many restaurants, in Jalan Kartika Plaza, Jalan Bakung Sari and the shopping arcades of Kuta Square and Discovery Mall. Tranquil tropical gardens offer a retreat from the busy surroundings. Walking distance to the sands of Kuta Beach via the Kuta Art Market. Waterbom recreational park is within close range. Ramayana Resort & Spa offers 6 room types on 5 levels, including a set of poolside cottages. Ramayana Resort & Spa offers 6 room types on 5 levels, including a set of poolside cottages. The Deluxe Rooms occupy the upper levels of the resort, offering 39.8sqm of space, king size or twin beds, air-con, Smart TV with international channels, mini-bar, coffee and tea-making facilities and safety deposit box. 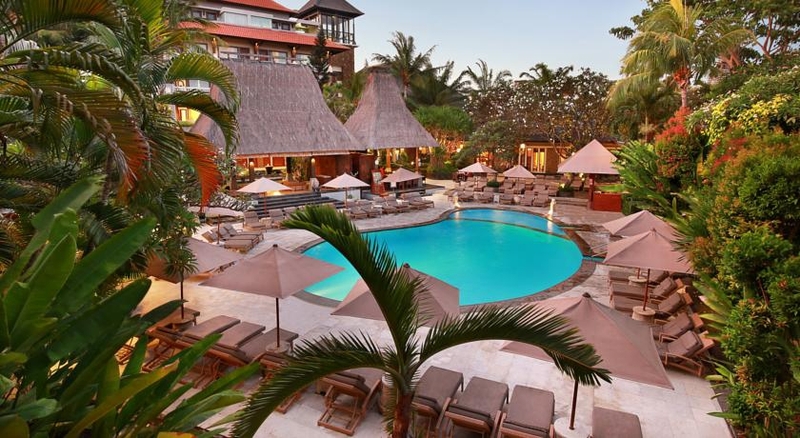 Ramayana Resort & Spa features its own Gabah Restaurant and the Kuta Sidewalk line of outlets along Kartika Plaza that offer many choices of cuisine.